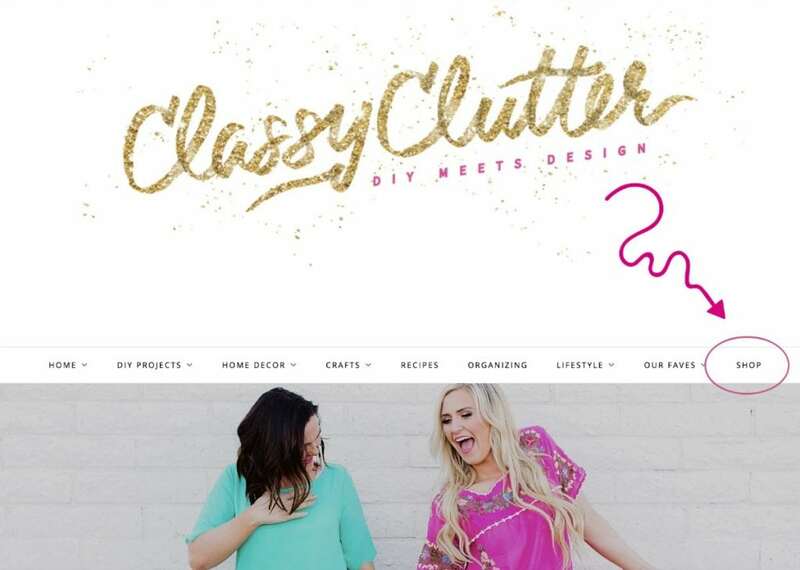 We have been so moved and so thrilled with your overwhelmingly positive response to the launch of The Classy Clutter Signature Collection! The response has been so amazing and we are just so thankful that you guys love it as much as we do! 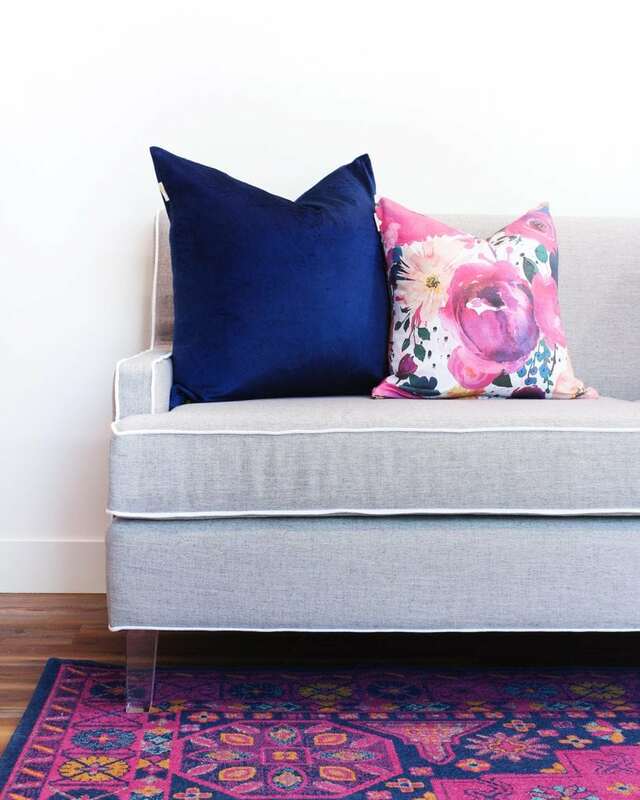 We’ve poured our hearts into this collection and now we are SO excited to continue to bring you new, affordable home decor pieces, textiles and furniture for your home! We have a few new posts coming up to go over the details of each item in our Signature Collection and any extra details we think you need to know! Integrated with our blog (You are here. ha!) You can click on the little SHOP tab at the top to be taken to all of our products! Our furniture was a major bucket list adventure and life long goal to develop and we still have a TON more pieces that we want to create. We found an amazing manufacture to help us achieve our dream. 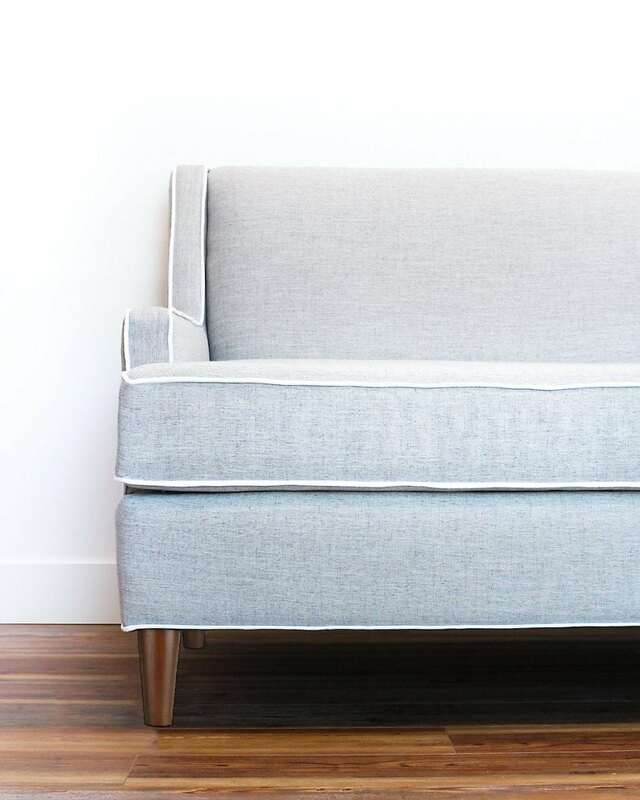 All of our upholstered products are responsibly manufactured by Weave Furniture (IG: @weavefurniture) in Salt Lake City, UT. Crypton Home Fabric. Crypton is a extremely durable, stain resistant and has excellent cleanabiltify! It is commonly found in custom and commercial spaces. Because Crypton’s patented technology is applied at a molecular level, these beautiful, durable fabrics can withstand repeated cleanings without their protective technology ever washing or wearing away. The end result is performance indoor fabric that resists stains, repels water, prevents odors, and inhibits the growth of bacteria—all without sacrificing aesthetics, hand, or breathability. We are moms and pet owners so we had durability and comfort at the top of our list! 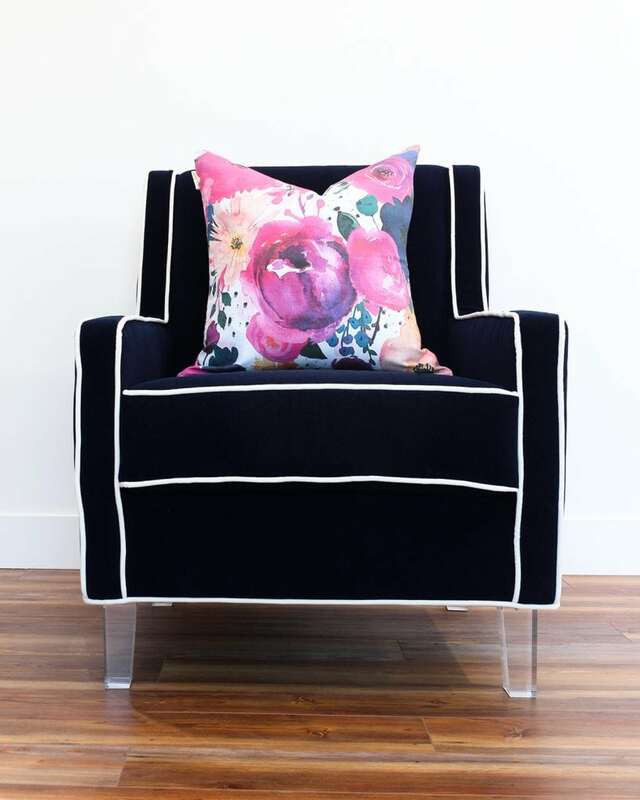 Our upholstered furniture comes in 3 colors, Dove Grey, Deep Navy Velvet and Classy Clutter Pink Velvet and feature a beautiful white welt on each upholstered piece. 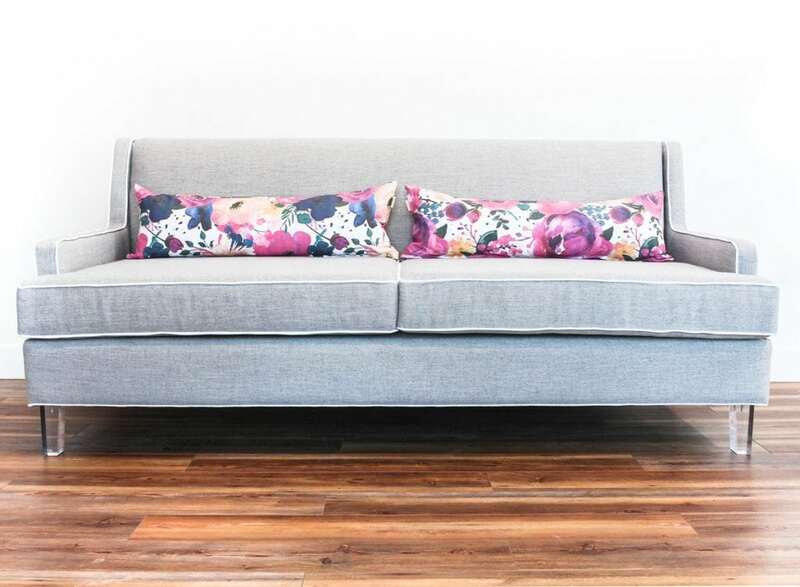 Aside from the fabric, we wanted our furniture to be very sturdy and durable. Weave uses 7 ply premium plywood with Alder hardwood in our frames. Frames are interlocking for additional strength. Weave has a background building student housing and commercial furniture which has taught them the best practices for furniture that lasts! Comfort is key! 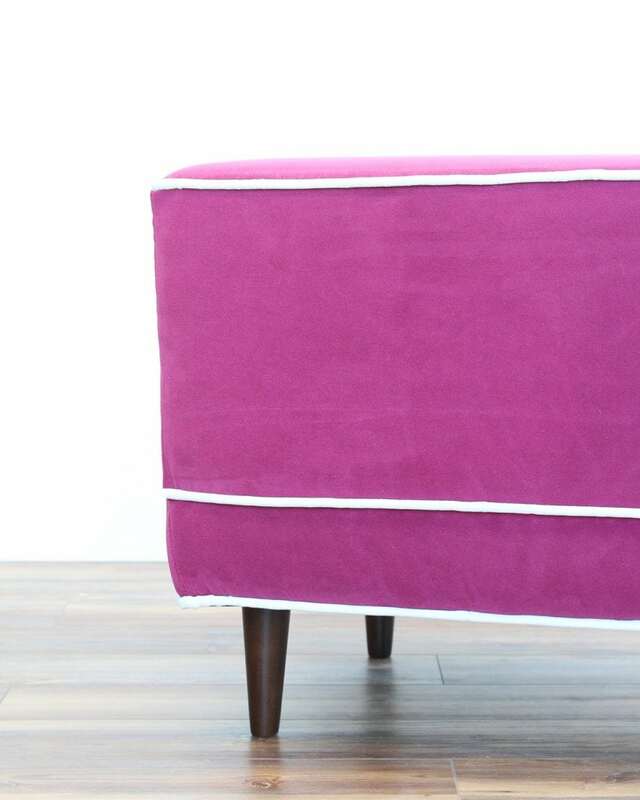 Our upholstered furniture uses a very high quality foam. Foam density measures the durability of the foam by weighing one cubic foot of foam. Most residential foams are between 1.8lb – 2.0lb. We use a 2.5lb K32 foam which holds up better to the heavy use of family life! We intend for these pieces to last and last! Our Stay Classy Sofa and The Queen Bee Chair have two feet options, premium acrylic and a beautiful tapered walnut. The walnut leg option gives you $74 off of the sofa and the chair as the acrylic is an upgraded, luxe leg option. The ottoman only comes in a tapered walnut leg at this time. Big huge thank you to Weave Furniture for truly building our dreams in these amazing pieces. We truly could not have done it without them.